This medium is a supportive one and helps grab more eyeballs for your brand. It works in tandem with other media thereby adding more depth and expanding the scope of your communication. 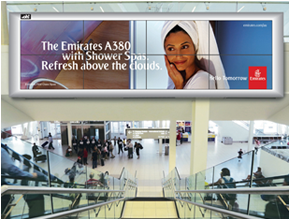 It includes cinema slides, bus panels, kiosks, In-store branding, billboard/hoarding, but with our innovative application, there are endless possibilities. 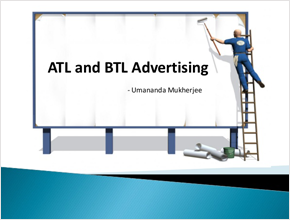 Outdoor Advertising is the only medium which is available round the clock at the respective sites. 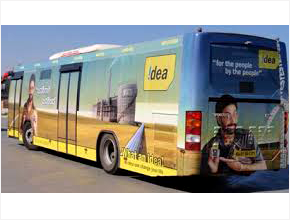 Technological advancement in creating designs, photography, printing of Vinyls / Flex, illumination etc. have made this medium more attractive, effective and desirable for any campaigns. 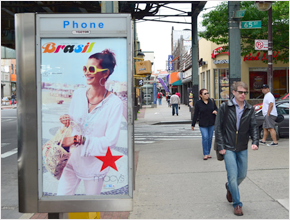 Outdoor Advertising is an excellent medium and is indomitable to make the Press /TV campaign successful. 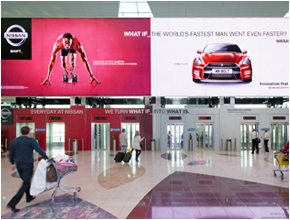 Outdoor medium is available in locations where the potential customers are present.Hoardings are one of the most effective and noticeable medium and are ideally suited for campaigns. A few strategic sites in support of any campaign will yield outstanding results. 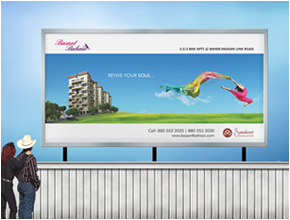 Hoardings are a medium which constantly reminds the customer passing by round the clock. 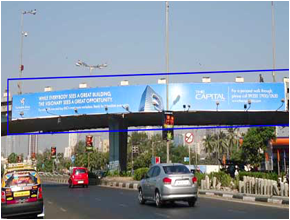 Hoardings at prime locations, when associated with prominent brands, become a landmark in themselves.